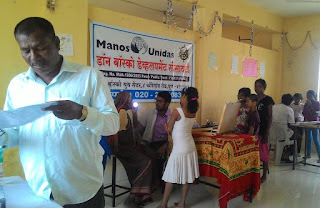 Pune, 28-October-2017: The Don Bosco Development Society (DBDS), Pune organized a “Free Eye Check-up Camp” for the people residing in the slums of Pune city. 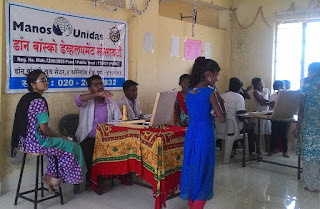 About 169 people including women, men and children benefited from this free camp, held under the aegis of ‘Women Empowerment Project’ supported by Manos Unidas (Spain). 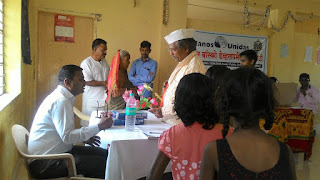 This camp was held in association with H. V. Desai Hospital and Help Age India, Pune. Drs. 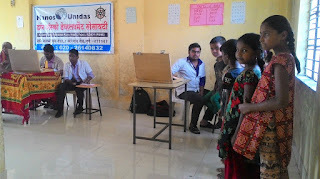 Uday Zurale, Prakash Lokhande, Namdev Chavan and their team examined the people. 17 Cataract patients were identified for Cataract Surgery. 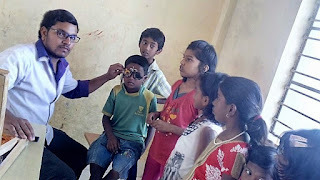 People with defective eye-sight were given spectacles at a highly subsidized cost of Rs 60 only. 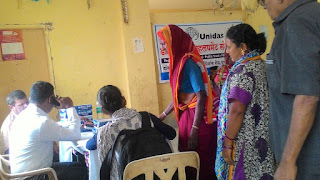 Few patients with defective vision were also referred to H.V.Desai Hospital for further treatment. 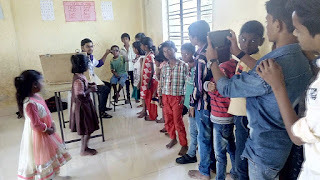 “We are very grateful to Don Bosco for this service – if not for them we would have never received such a great help,” said Mrs. Shantabai Dhube.